CELEBRATING 70 YEARS IN BUSINESS IN THUNDER BAY! 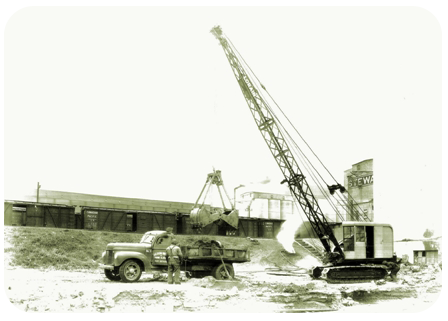 Biloski Brothers Sand & Gravel Ltd. is a father and sons partnership that has been established in Thunder Bay since 1947 and has been serving Thunder Bay and surrounding area ever since and is now a 3rd generation company! Over the years, we are proud to say we have grown both as a contractor and a supplier of quality granular materials and top soils. Our company supplies a wide variety of high quality materials from our 2 locally owned pits for use in both commercial and residential construction and landscaping applications. Our customers therefore range from residential homeowners to large multi-national corporations and various governmental departments. Biloski Brothers Sand & Gravel prides itself on maintaining lasting business relationships with its customers and we have an outstanding reputation in our field. Through the dedication of our employees we are able to provide our customers with quality products and fast dependable service. With our resources, we believe we are well positioned to meet the supply requirements of our customers well into the future. We are also proud to say that we have developed a commitment with Habitat for Humanity to offer them any salvageable materials from any demolitions that we do in order to help people in our community with housing. They recently successfully salvaged many doors, windows, bricks, a furnace, lighting, and cabinetry among other items from our most recent demolition.